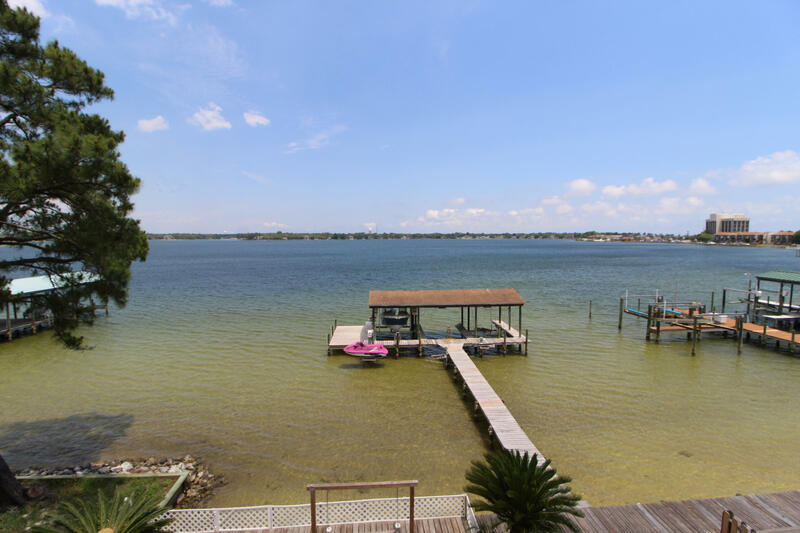 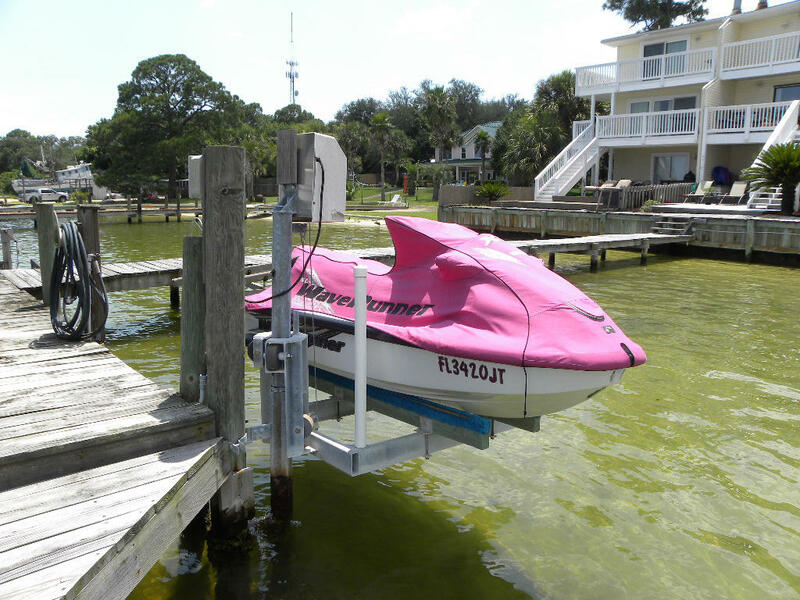 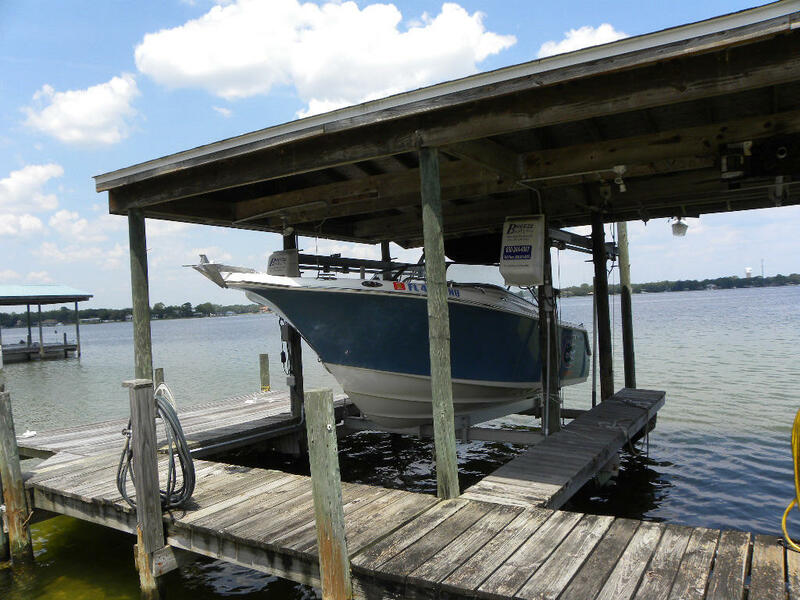 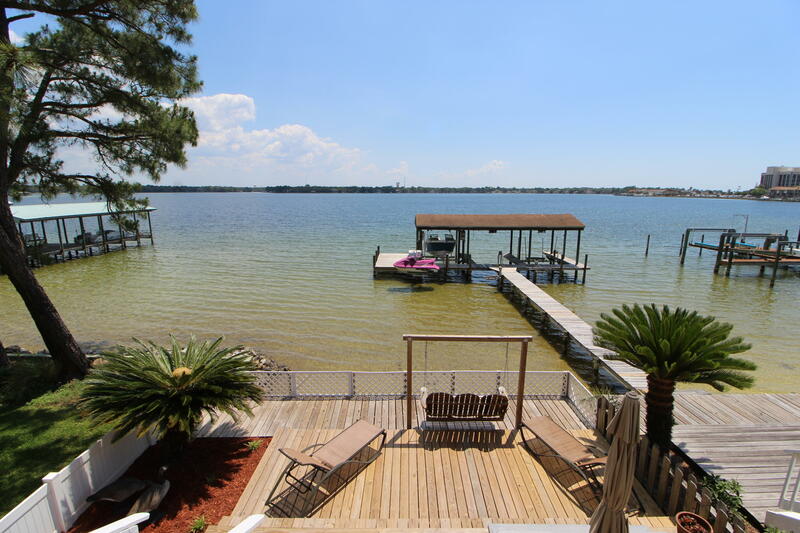 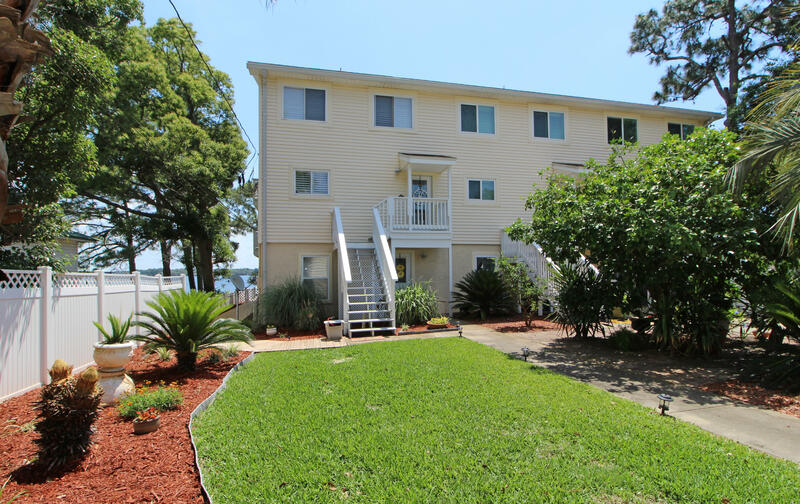 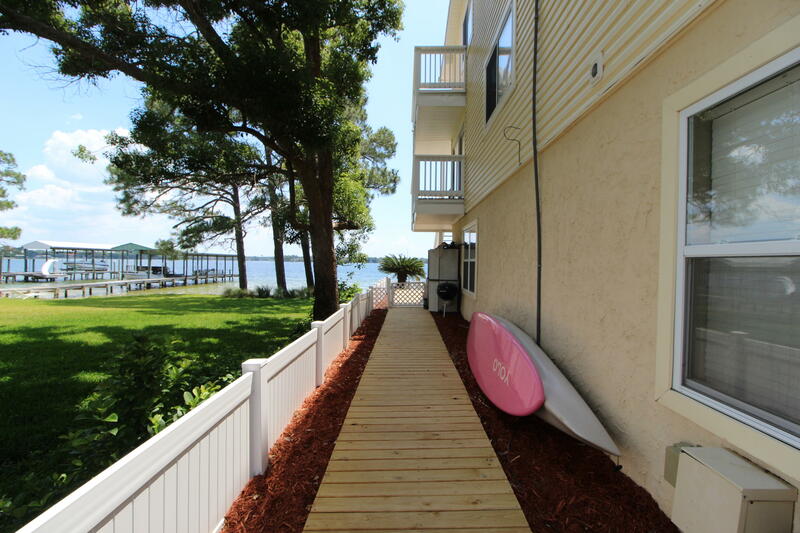 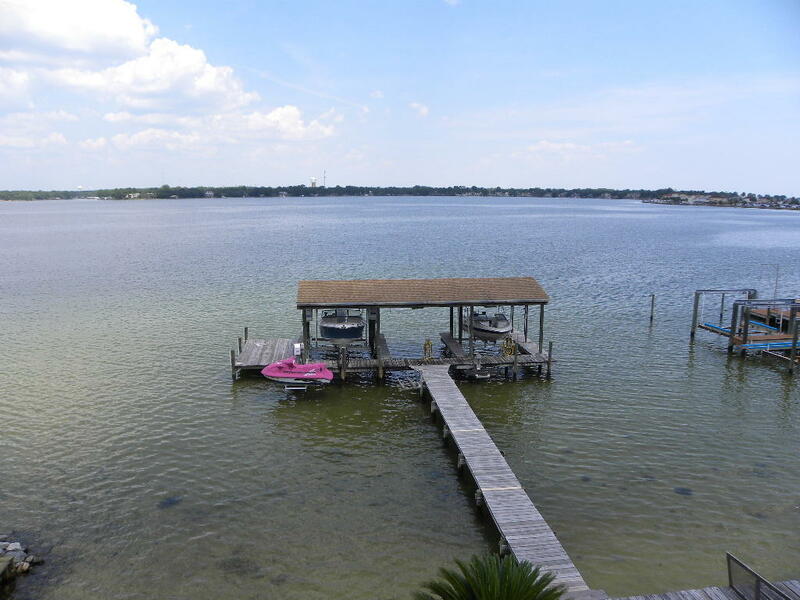 INCREDIBLE END UNIT WATERFRONT TOWNHOME TUCKED AWAY ON GARNIERS BAYOU IN THE HEART OF FORT WALTON BEACH! 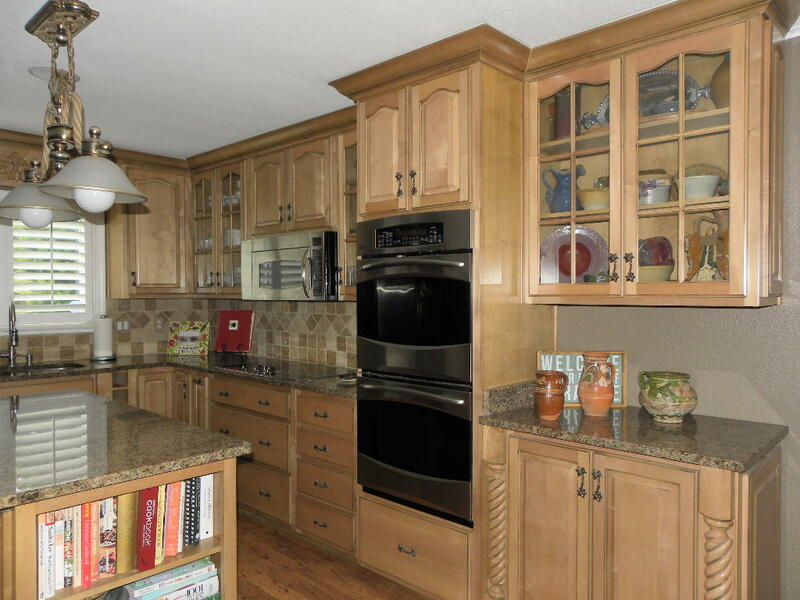 PRIDE OF OWNERSHIP SHOWS THROUGHOUT THIS BUILDERS HOME! 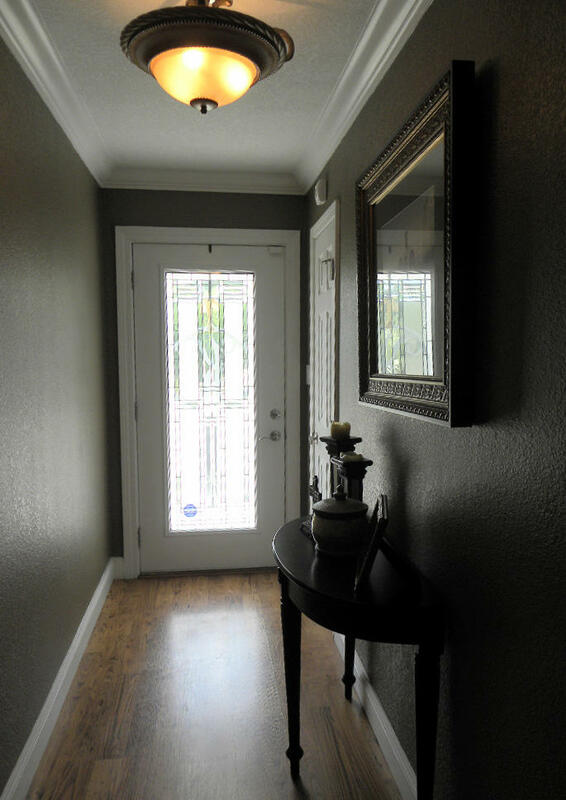 Enter the foyer through the leaded glass front door. 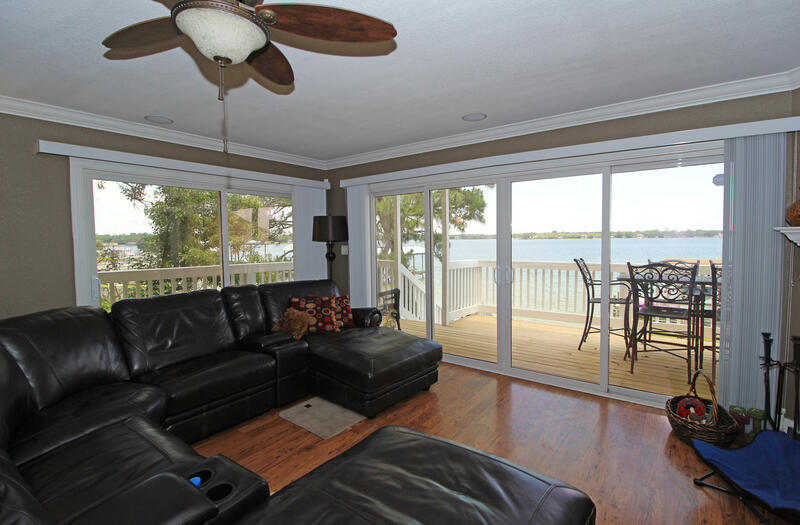 Spacious living room with corner fireplace and custom mantle, built-in surround sound and two sets of sliding glass doors that frame your amazing water views and lead out to a large wrap around deck perfect for enjoying outdoor dining. 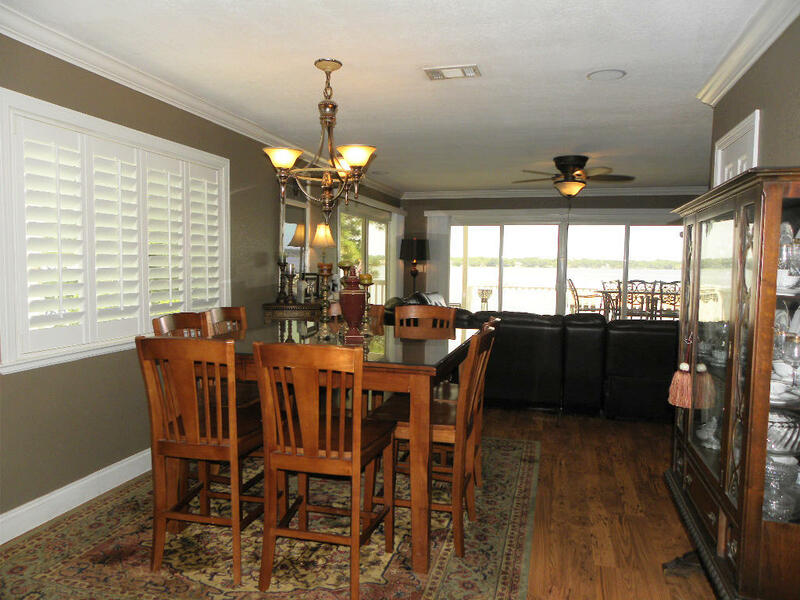 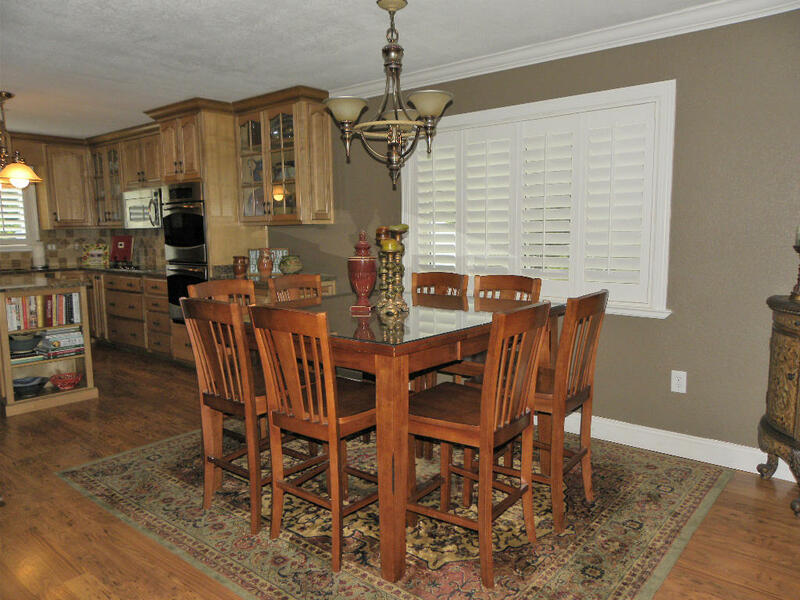 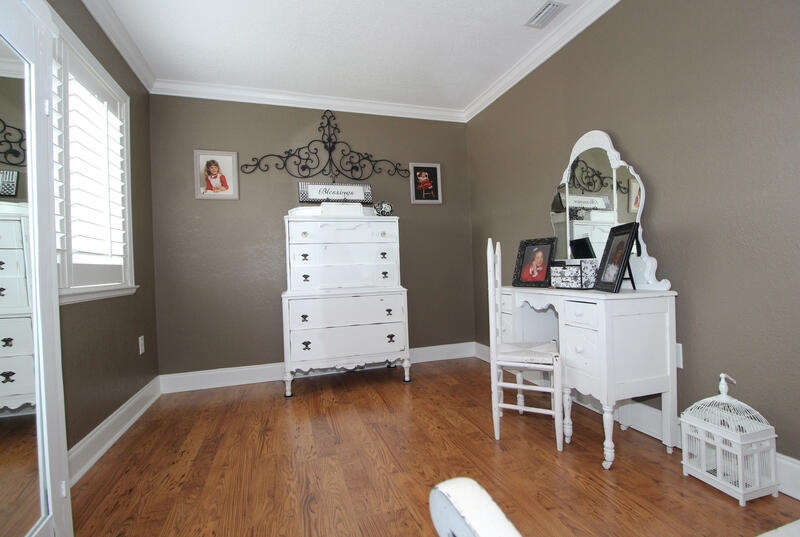 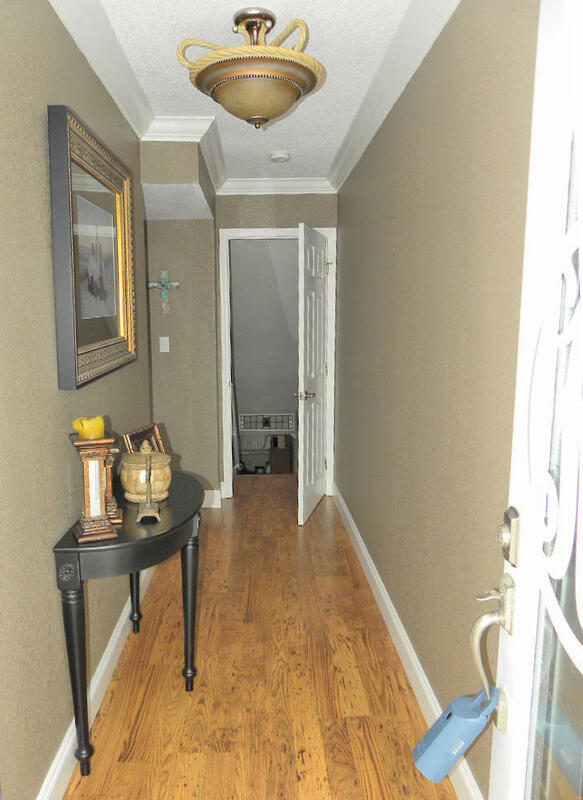 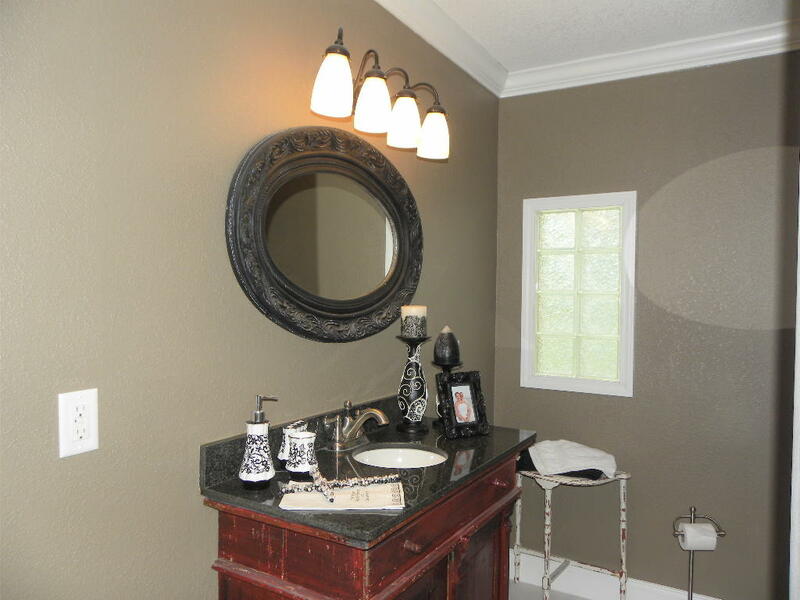 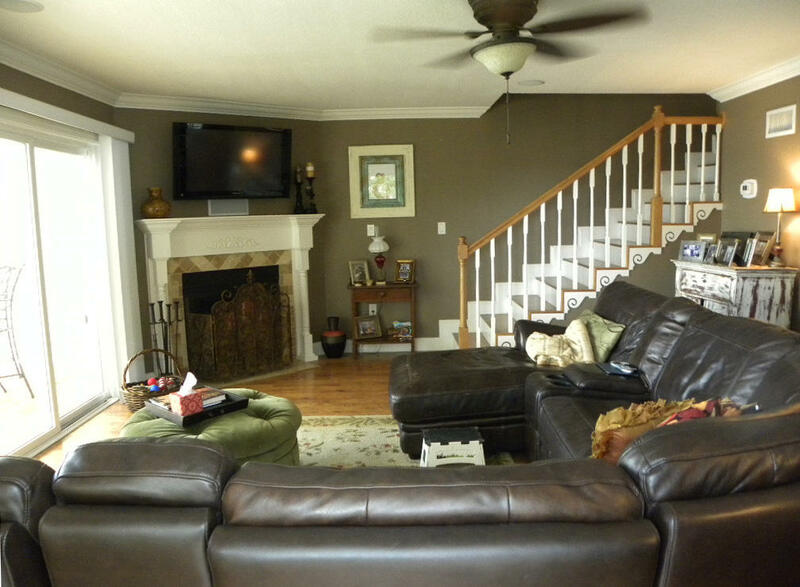 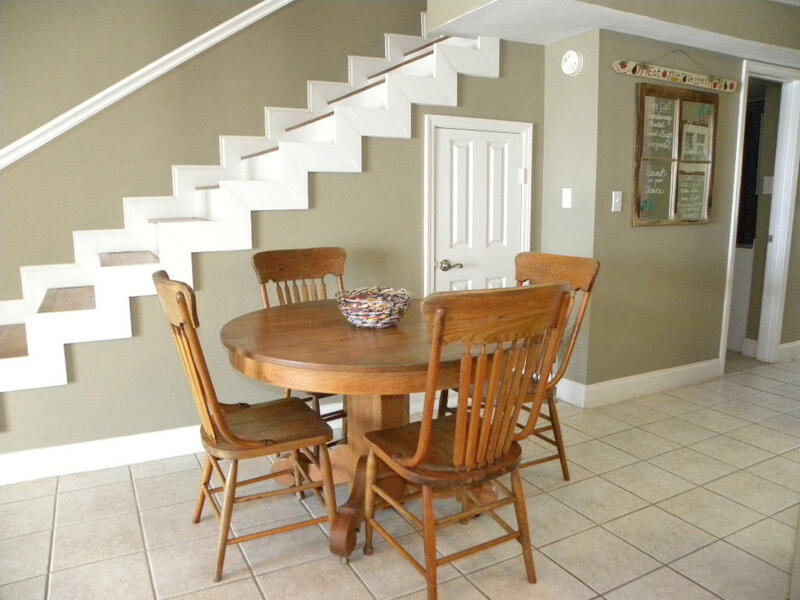 Dining area has plantation shutters, crown molding and beautiful laminate flooring throughout. 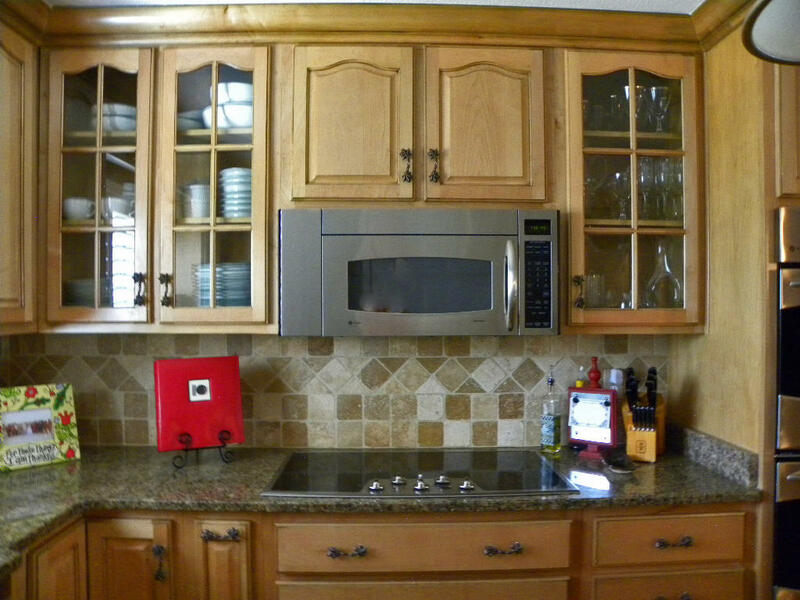 Kitchen with all the bells and whistles custom cabinets with glass doors and spiral accents, beautiful granite countertops and backsplash to include a large center island with designer light fixture above, top of the line stainless steel appliances toinclude a 5 burner smooth top stove and double oven perfect for entertaining. 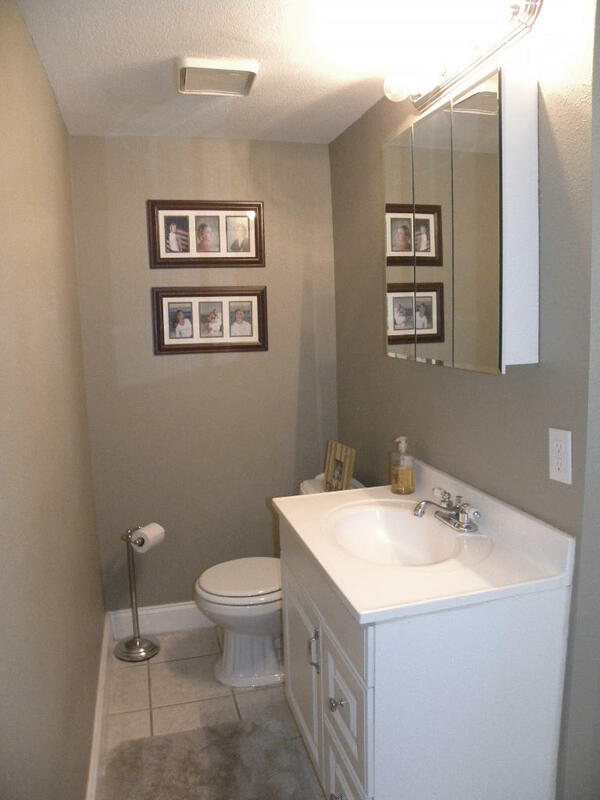 Inside laundry area and a half bath conveniently located on this floor. 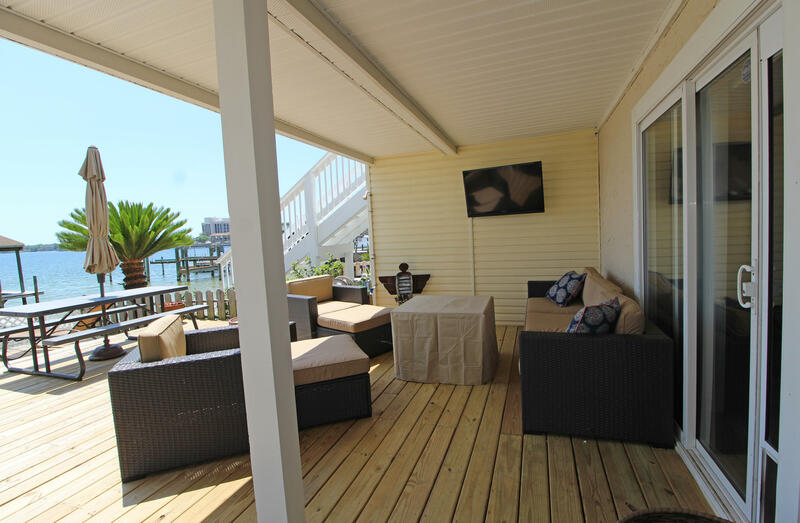 Master bedroom has crown molding and sliding glass doors that lead out to a private balcony where you can watch all the activities on the water. 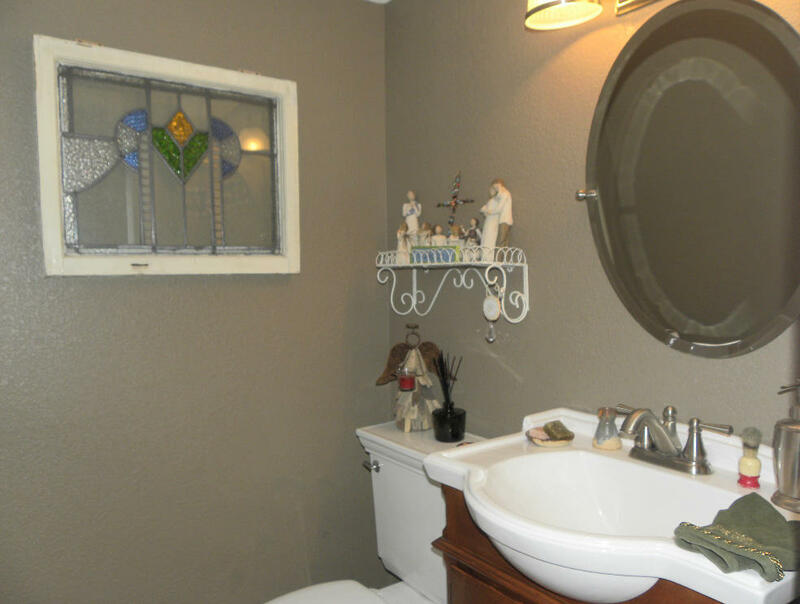 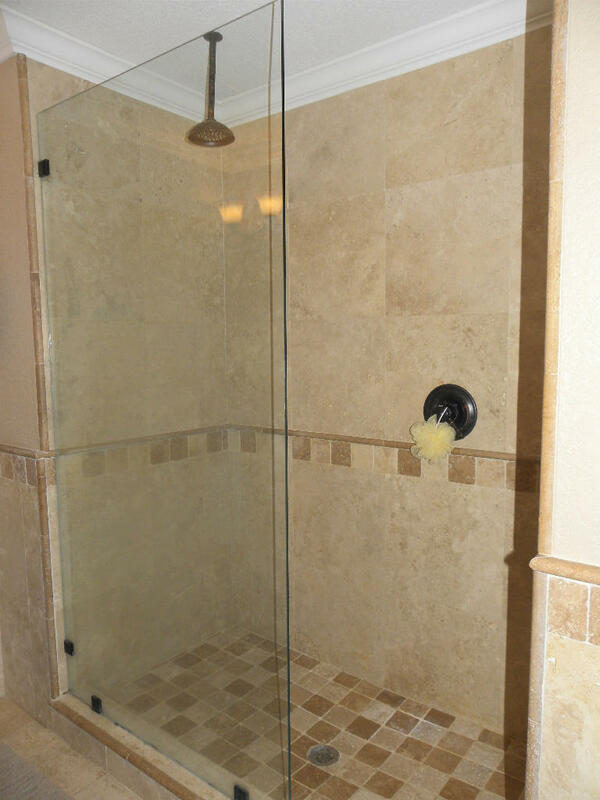 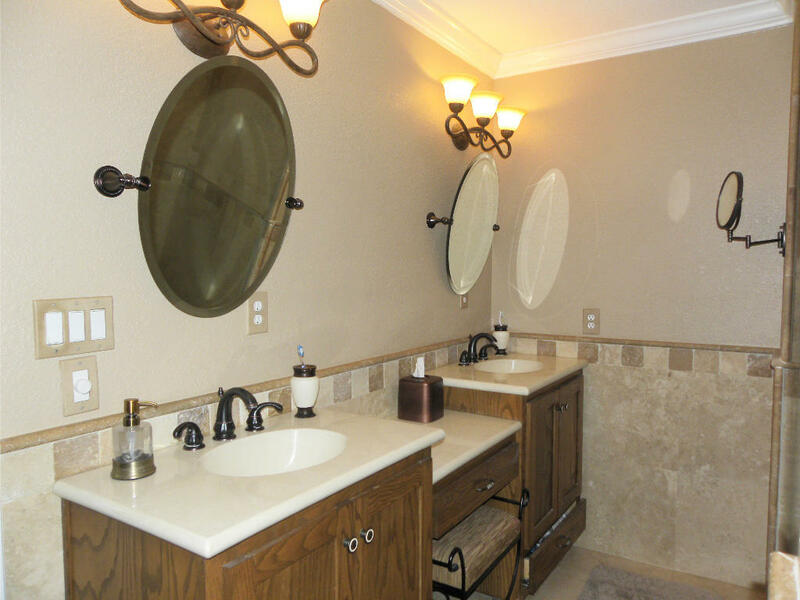 Master bath has travertine flooring, separate vanities with a make-up station, large custom walk-in shower with travertine and stone tiled accents. 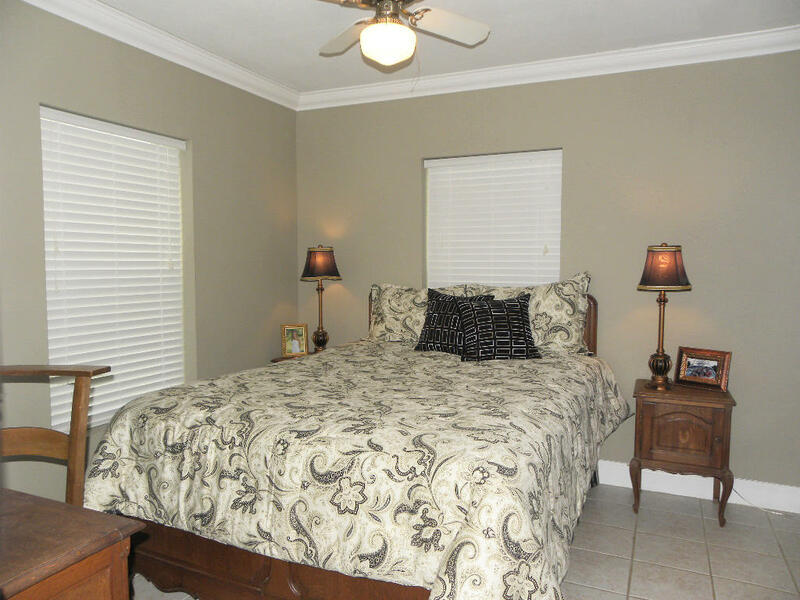 Additional bedroom suite with a sitting area and a full bath with a antique vanity, granite counter top and designer mirror. 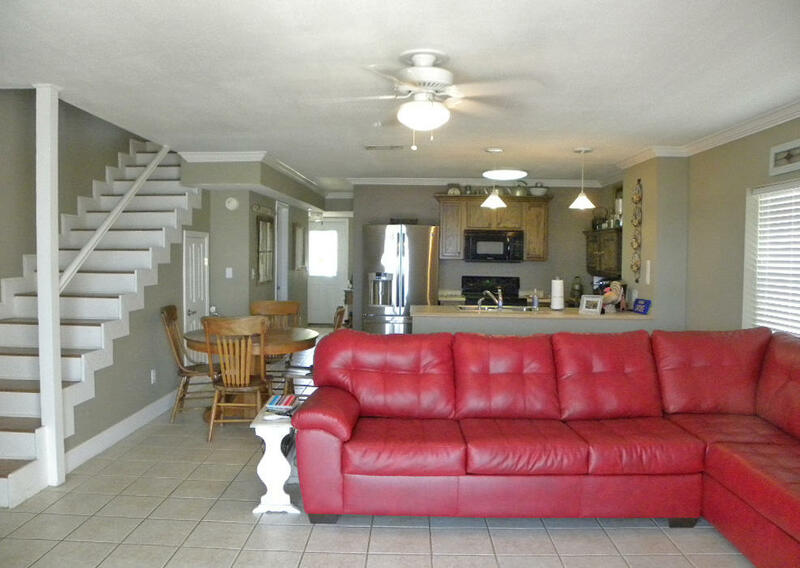 Looking for a separate apartment or the perfect party room this home has it all! 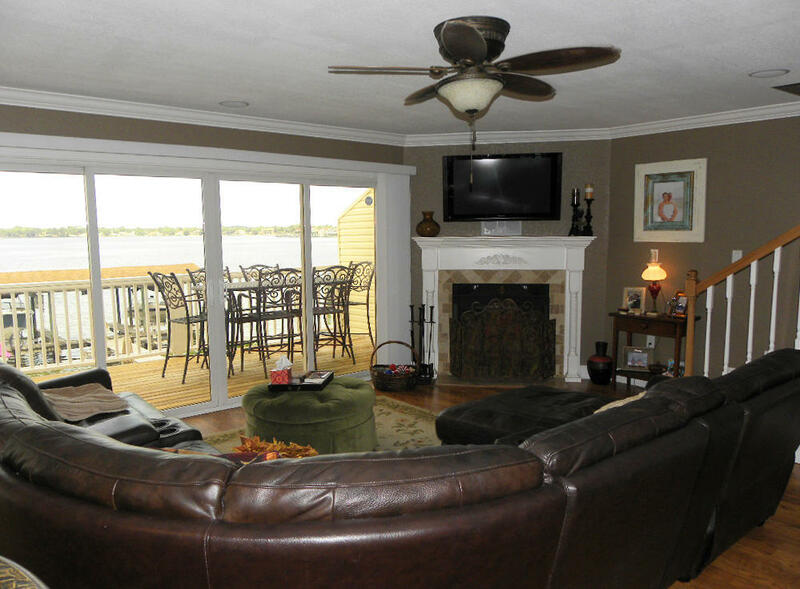 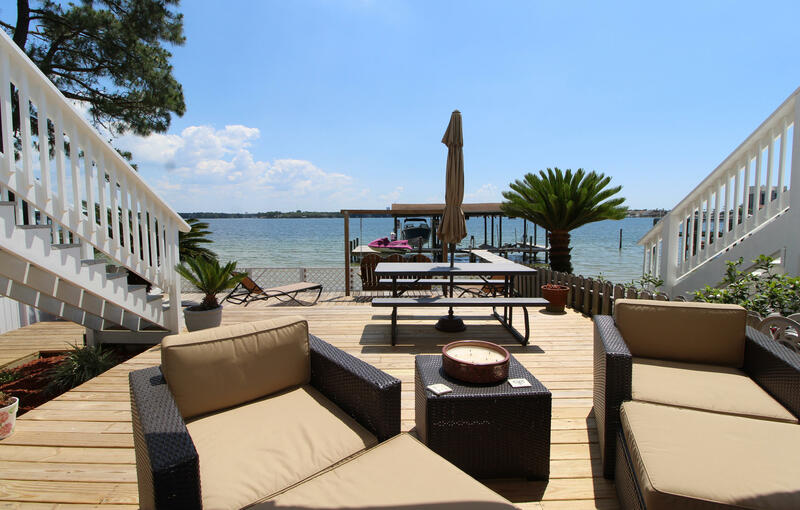 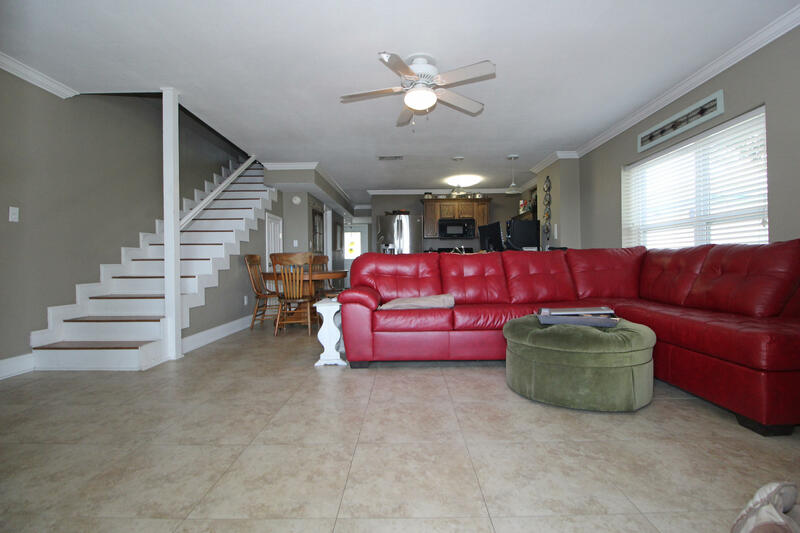 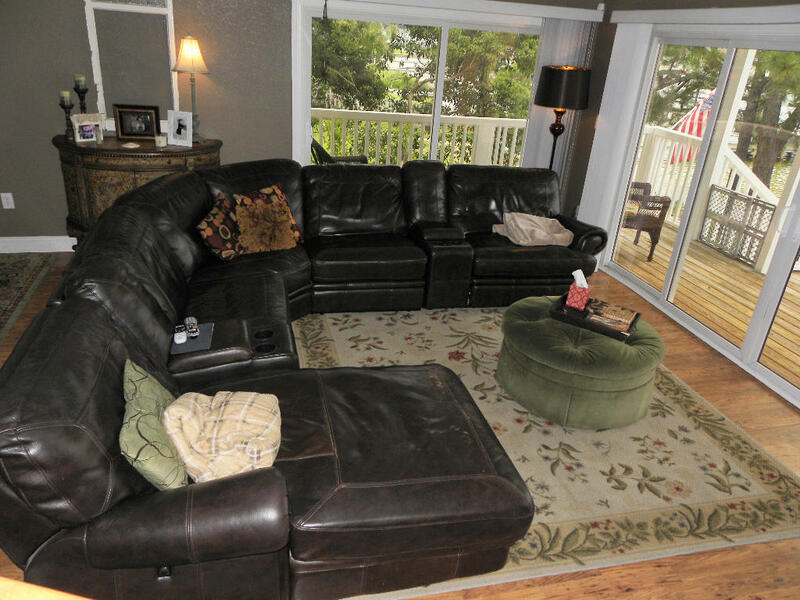 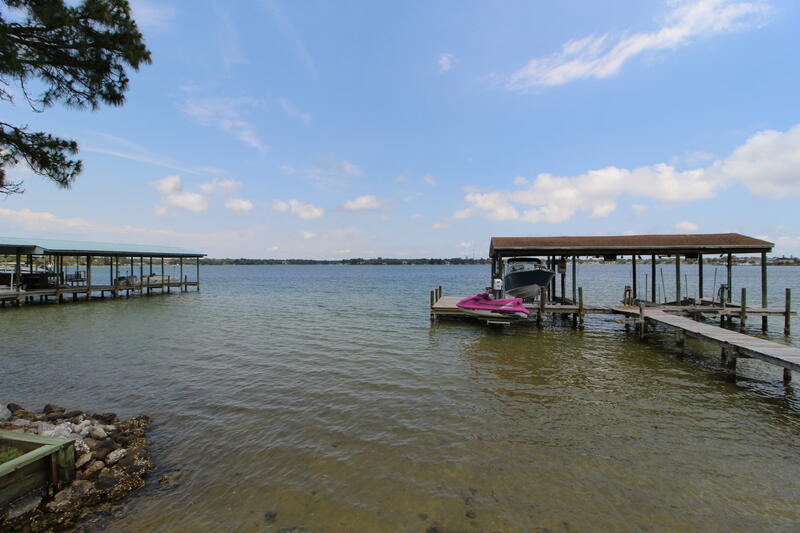 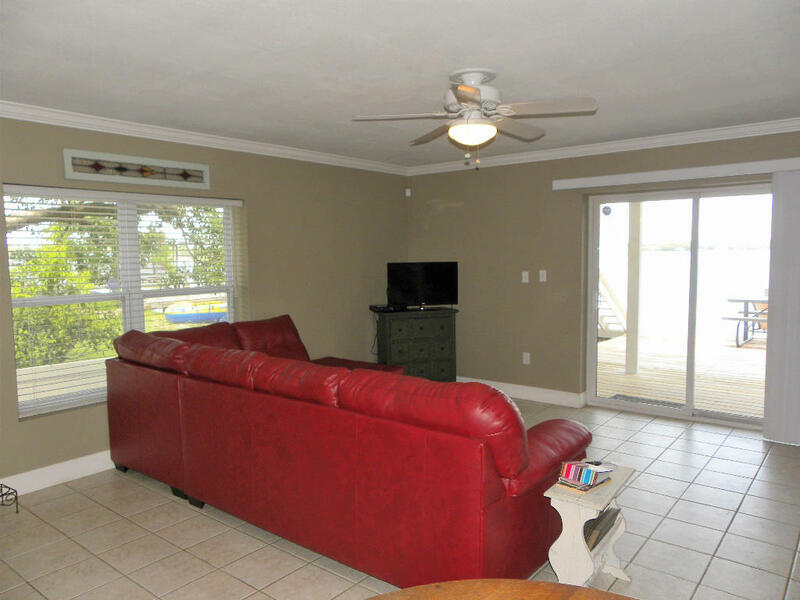 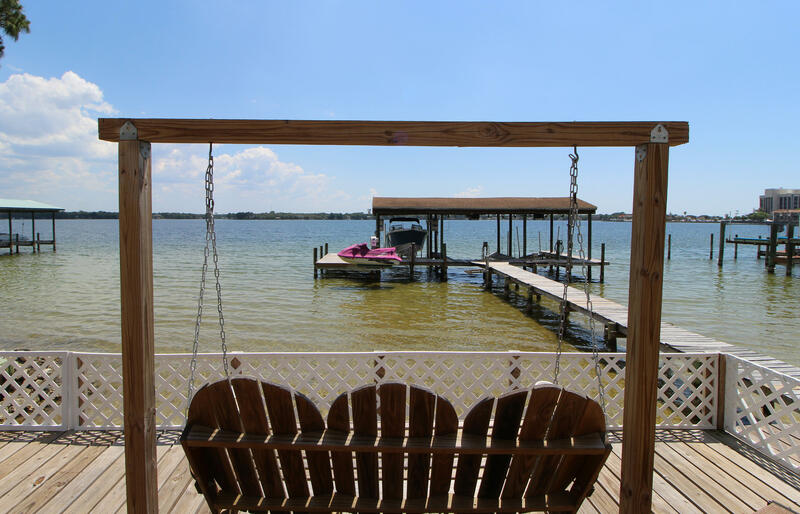 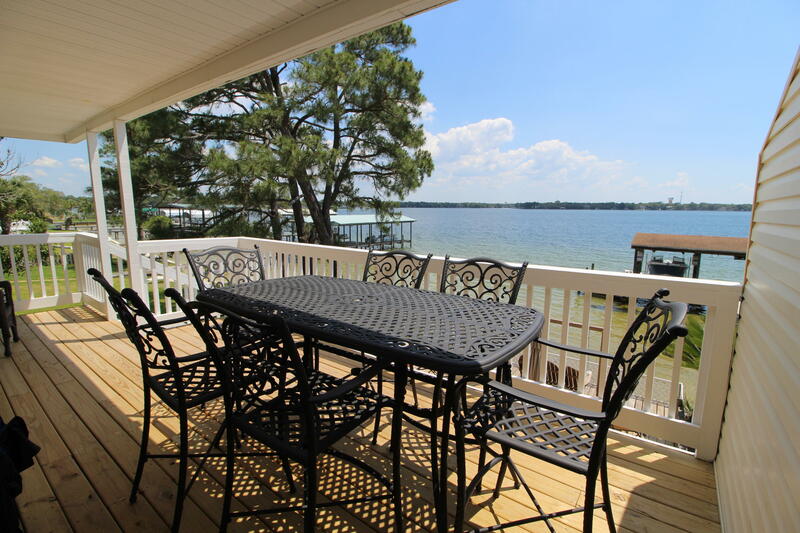 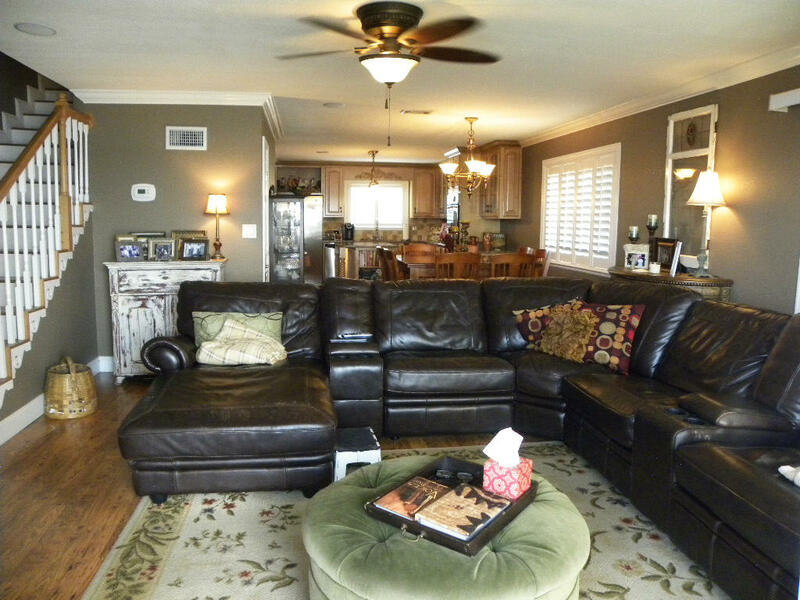 Large living area with tile flooring throughout that leads out to a covered patio, lots of decking, outdoor shower, boat lift and two jet ski lifts. 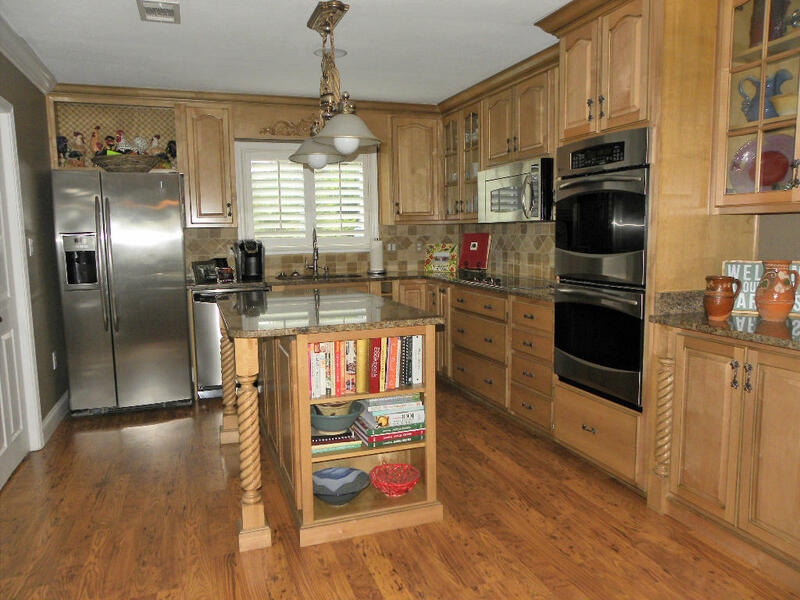 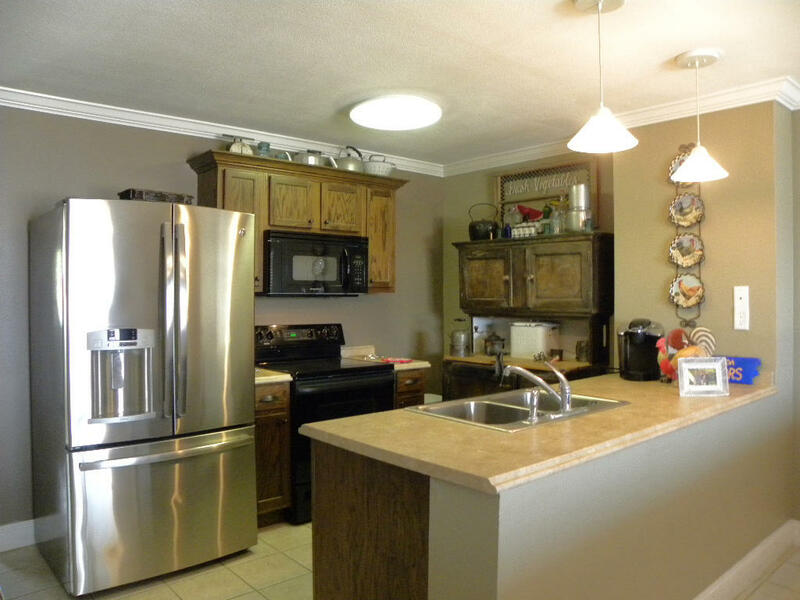 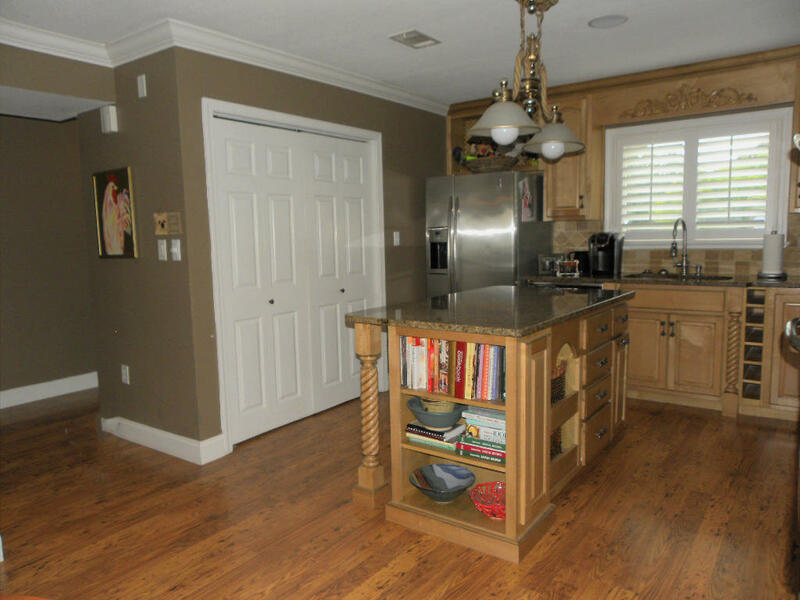 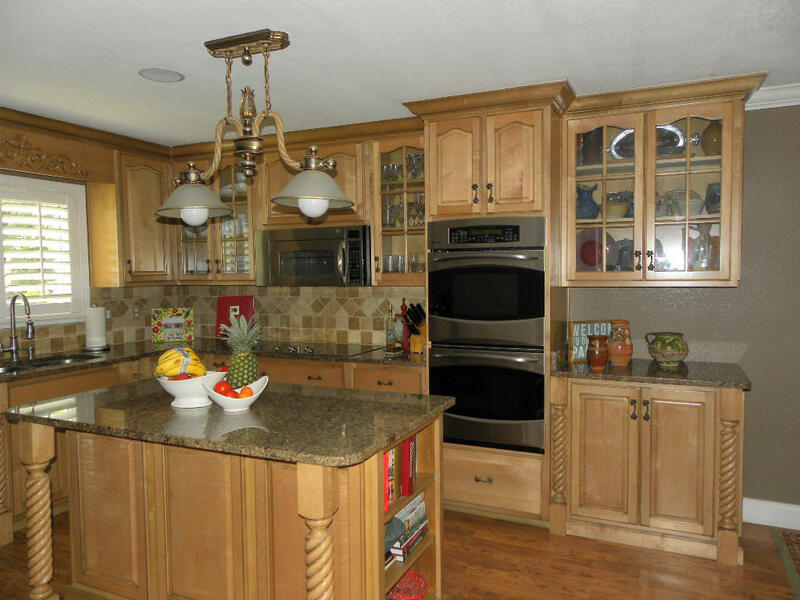 Full kitchen with antique butler cabinet, granite like counter tops, upgraded appliances perfect for entertaining. 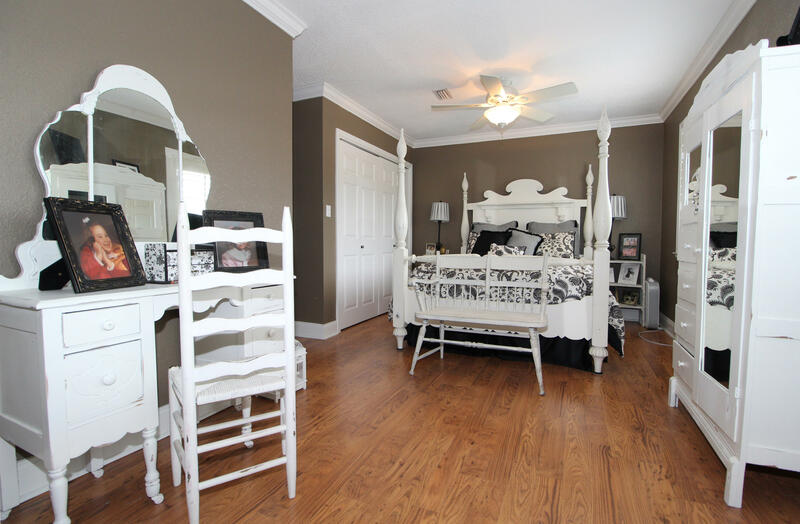 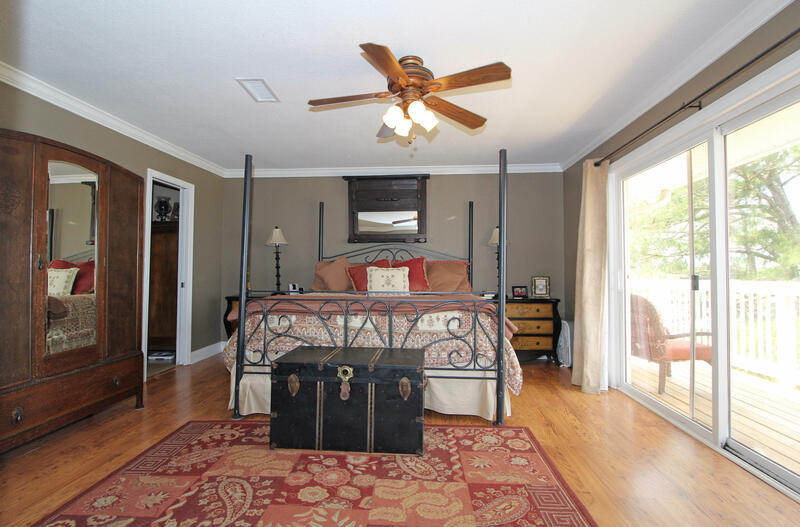 Bedroom and a full bath complete this perfect package. 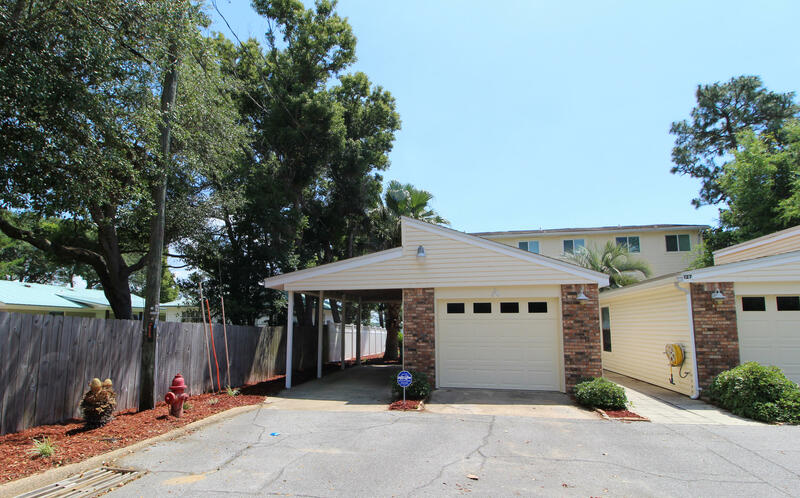 There is a garage and a carport and additional parking available for guests. 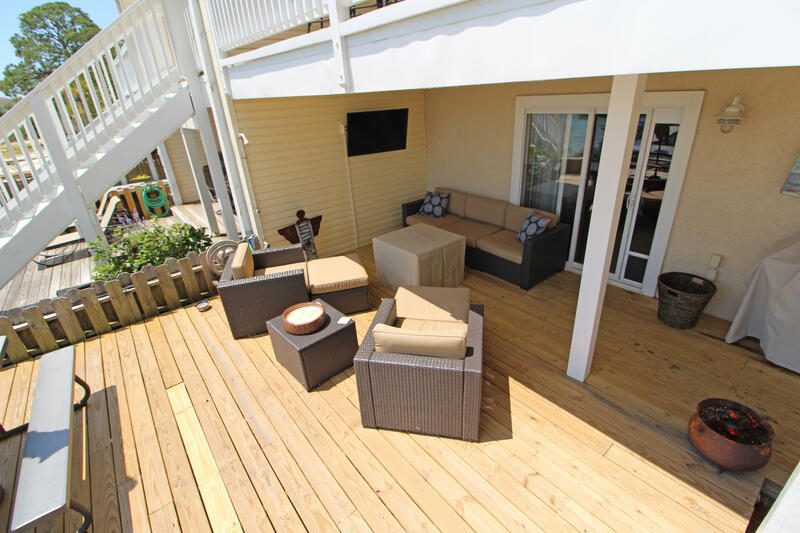 Too many extras to list so call today for your own private viewing!